A quick, easy and a tasty curry that goes very well with rice. Add mustard and urad dal , when they stop spluttering add the curry leaves. Add the chopped okra with turmeric powder, chilli powder ,coriander powder, curd and salt. Mix them gently and keep stirring occasionaly till the okra's are cooked. Delicious vendakkai curry is ready to serve. Simple and tasty curry with Okra, perfect with Chapati. 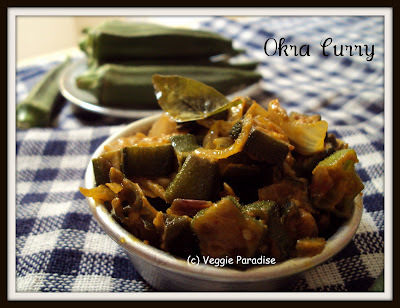 Curd is a unique twist to Okra.Looks yummy. 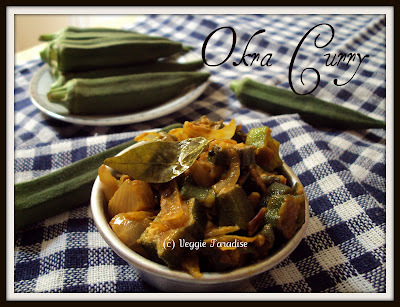 with okra.Curry looks very delicious.Thank you for visiting my blog and for your nice words. 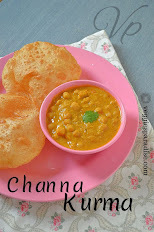 Mom in law makes the same way except she adds sambhar powder and nice pictures aruna,way to go! 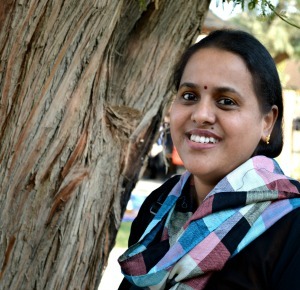 Aruna, nice recipe. I like the idea of adding yogurt in it. Delicious curry, just love it..
Looks yumm and i can have anytime and many time in a day.. nice clicks as well. I don't like to cook okra because of their stickiness. also in my version they shrink a lot during the process. but yours looks great.next time i will follow your recipe..
Nice version of making okra. would try urs the next time. the curd part is new for me...looks delicious will surely try it out. Hi Aruna, what a coincidence, I made the same curry today in lunch...but added some dry coconut paste which had garlic, green chillies, and ginger in it...love yur recipe! Thanks for this recipe. This preparation looks very good and unique. Would try it for my son who does not like ladies finger that much. Wish me luck. Okras look semoly delicious nice recipe to cook them. I love okra's, delicious simple fry !! I like this curry with rice and rasam. Okra is my all time fav and i love any dish made with it. Looks tempting and delicious. Good one.